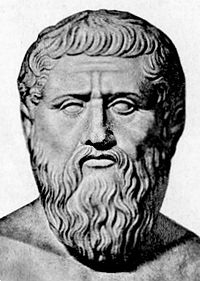 Modern Platonic Dialogues (MPD) is an idea that attempts to revive the noble art of dialogue that Socrates and Plato exercised 2,500 years ago in the Agora in Athens, Greece. The aim is to present all different views for currently controversial issues via online dialogues in which everyone can participate. Having a “live” dialogue can be much more productive and efficient than someone just writting an article with his/her views on a subject. Not all people agree on everything, not all people have the same “logic”. The point is not to try to persuade others that we have the correct logic, but to understand that our fellow-human arguments may be as “logical” as ours. All Modern Platonic Dialogues are open via the Moderated Collaboration model. You can all send me your comments for a new dialogue! Comments are also welcomed in this page! Below stands a dialogue between an agnostic man, an atheist man and a woman who believes in God. All of these people believe in “something” or believe that they don’t have to believe in “anything”. Does any of them have evidence to support his/her view? Does modern scientific data show the way to the truth in favour of any one of them? Whose “logic” is more “valid”? Agnostic – Why do you believe in God? Theist – I believe that something more than stones and dirt exists in the universe. Atheist – But that’s silly! I “believe” means nothing to me! Why don’t you also believe that hand-reading can reveal your future? Theist – What do you mean? Agnostic – It’s simple! Why don’t you believe in anything else like mumbo-jumbo vooodoo magic but you choose to believe in something so weird as “God”? Ath – You mean beyond simple faith? Ag – What reasons could that be? We all know that you cannot prove that God exists. Th – You probably don’t know Godel. Ath – Who is Godel? Th – Someone who proved that the perfect being we call “God” exists by using modal logic. Ag – I’ve heard that “proof”. It’s all based on the wrong axioms. Godel started in the wrong way. Th – But you do believe in mathematics. Ath – What does that have to do with God? Th – You complain that Gödel used the axioms he wanted. Isn’t that what we do in all mathematics? Ag – Yes, but that is different. Ag – Mathematics work in real life. We can see they are true. Ath – That’s ridiculous! We can prove things with mathematics! Th – Based on the theorems you chose and on the logic you know. What if you chose different axioms? Ag – Then you would have something like the non-Euclidian geometries. Ath – Yes. And we know that these geometries work! Th – What do you mean by that “work” you keep saying? That when you see one tomato and another tomato the equation 1 + 1 = 2 actually “works”? It just represents what we see! We made it what way! It’s more than logical that it works. We made it to! Ag – But that means nothing to you? Th – It means that mathematics are a nice tool to represent and study reality. But it says nothing about how mathematics exist or not. It does not say if they are “real” or not. Ath – So you doubt that π exists? Th – I know that a number we cannot write down on paper troubles me. Th – …in a great number of ways, I know. But you still cannot write it down on paper. You cannot write it down, as simple as that! Ag – Number π comes out of many equations. Th – Equations that you made based on your axioms and your logic. Ath – These are many kinds of logic? Ag – Mathematics have only one logic. Th – And you bet that you know it better than Godel? The greatest logician after Aristotle? Ath – That means nothing. He could be wrong. Th – Correct. So could you. Ag – But what is more un-logical than believing in something you don’t see? Ath – Hey! What does all that have to do with God? Th – I just want to show to you that you argue against Godel proof of God’s existence but you don’t apply the same level and depth of criticism to other things you take for granted. Th – So you can see atoms? Ag – No. But our models based on their existence work. Th – Very nicely put. And what happens when a new theory replaces the existing one? Ag – Nothing. Life goes on. Th – And you wouldn’t be a fool to have believed in something that was finally proven to be wrong? Ag – That is how science moves forward. Th – And has science proved that God doesn’t exist? Ath – No. Neither that it exists. Ath – So why do you believe in him? Th – You mean besides the fact that Gödel proved it? I have many other reasons. Th – They are “logical” reasons. But not logical in the mathematical sense. Ag – I remember you implied something like that before. What other kinds of logics exist beyond the pure mathematical logic? Th – Beyond the mathematical logic that says that a perfect being like God exists? Well…there is also your logic which says it doesn’t. Th – Yes. And it doesn’t look very “mathematic” to me. Ag – What do you mean? I use mathematics every day. Th – That may be the case, but your answer to modal logic is just talk. Not mathematics. Ag – Arguing against the axioms Godel used is mathematic. Th – That is mathematic, yes. But the “logic” that tells you which axiom is “correct” and which is not is certainly not mathematic. Ath – So you say we think irrationally? Th – No. I am telling you that you have your logic and I have mine. Ath – And what is the true logic? Th – I wish I knew. Do you? Ag – I know that you must have reasons to believe in something so extraordinary as God. Th – I have reasons. Ath – Like? Name one. Th – Many parameters of the universe like the gravitational constant are set to exactly the value required to have a universe able to sustain life. I can hardly believe that this is a result of random or chance. Ath – But what if it? Th – But what if it isn’t? Ag – So you base all your belief in coincidence? Th – Actually you base your disbelief in the belief that randomness can result in that magnificent tuning of all universe parameters. Ag – Now you are talking illogically. If you don’t have evidence for something you cannot believe in it. Th – I observe a fact and I draw a theory to explain it. Ath – That God has set these parameters? Th – Yes. Isn’t that a valid scientific proposition for you? Ath – Of course not. Th – Why not? Random is better explanation that God? Ag – At least random doesn’t suggest the existence of things we have not proved they exist. Th – So π didn’t exist before mathematitians “discovered” it? Ath – Your point is? Th – My point is that because your logic – and I stress “your” because Godel’s logic is different – has not yet accepted the existence of something, that doesn’t mean that this thing does not exist. Ath – But you have to prove that God exists. Not we that he doesn’t. Th – Why is that? Are there court rules for God issues? Ag – You know what he means. Don’t play stupid. Ath – So you admit you haven’t proved your theory? Th – I admit that the existence of these parameters are not “hard”-mathematic logic as Godel’s. Ath – So you admit that you rely on soft evidence for your belief in God. Ag – Yes, but we didn’t agree on it. Ath – So you say that there are two kinds of logic? One mathematic and one…other kind of logic? Th – I believe so, yes? Ag – You believe or you know? Th – Is there a difference? Ath – So you say there is nothing we actually know? All things we know are just beliefs we have? Th – We exercise belief in every aspect of our lifes. Ath – I certainly not do that when I use mathematics. I use specific rules. Th – But your logic, your non-mathematical “soft” logic, tells you which rules to use. Which axioms to use so as to set the foundations of your mathematical world. Ath – Axioms are things we actually know they are true. Ath – Yes. I agree. You doubt everything but you say that God exists. Ag – You think that science will someday come to prove or disprove the existence of God? Th – No I don’t think so. I believe science and religion lie on different realms. Ag – Then what is all that talk about Godel? Where you playing with us? Ag – Εν οίδα ότι ουδέν οίδα, like Socrates said, huh? Ath – I disagree. I think science and religion try to interpret the same truth and that science will someday answer everything. I wander where would religion stand then? Th – Where it stands right now. Trying to answer the “why” questions. Science just tries to answer all the “how” questions. Ag – Why won’t science answer those “why” questions too? Th – Because science by its nature deals with natural phenomena. The question “why do we exist?” is for sure not a natural phenomenon. Ath – So you believe in Christ also? Ag – Based on what universe parameters? Th – Nice one. Actually there are many historical witnesses in favour of my opinion. Ath – And based on hearsay you believe that someone walked on water? Th – Do you believe that straight lines are composed of an infinite number of infinatelly small parts? Ag – That is what mathematics tells us. Th – But many mathematitians don’t believe in the idea of “infinite”. Did you know that all we can do with the use of infinites in mathematics can be done without them as well? Th – So why do you believe in lines with infinite parts? Ag – And that has something to do with God and Christ? Th – It has to do with what you believe. I say that all people believe in various things. The only difference is what these things are. Ath – But the only thing you have about Christ is some people say he existed. A handfull of people! Th – In most important historical facts we base our knowledge on one or two eye witnesses. Why is the case here dfferent? Th – So if you saw one, you wouldn’t tell your friends? Ath – I would tell them. But I don’t think I will ever see one. Th – Suppose your closest friend, a man you know that can be trusted, comes to you and tells you he saw someone walking on water. What then? Would you believe him? Ag – I would hardly believe him. No. In fact I wouldn’t. Th – So you have ruled out the possibility of such a fact happening. Even if it does, you will never know even if your are told! Ath – I think so, yes. Th – It’s called “trust” and it is based on believing. People exercise that every day. You should try more hard if you want to keep your friends. Ag – I don’t want friends who lie. Th – But even if they didn’t lie, you wouldn’t tell the difference! Ag – So have you seen a donkey flying? Th – Even if I had, you wouldn’t believe me! But on second thought, you are something even more thatn just that…You are something like an “improved” version of Doubting Thomas. Even if you saw yourself a flying donkey you wouldn’t believe it either!! You would deny it and persuade yourself that there must be a logical explanation for what you saw. And even if you never found that logical explanation, you would still be looking for that explanation and you would never believe that you saw a miracle! You see, it is a dogma in your science that you must follow? Ag – Science does not have any dogmas! Th- It has when it claims that everything is made of matter that obeys the natural laws. You have ruled out the possibility of spirit from the beginning! No wander you can’t find it! Even if you see it in front of you, you would simply deny it and try to explain it in your own terms! Ath – Do you have any proof that spirit exists? Than something else than matter exists? Th – Do you have evidence for the opposite? That’s what I am telling you, it is a dogma you have chosen to believe as true. If you think that everything is made out of small particles, how can you discover anything else? Ag – But even if we hadn’t thought of it, wouldn’t we see it when it came to existence? Th – What do you mean? Ag – I mean that noone was believing in the existence of gravity before it was discovered by Newton. But nevertheless we “discovered” it when we were mature enough. Th – So gravity “exists”? Th – But it almost certain that the theory for gravity will change in the neas future. Scientific theories alsways change, don’t they? Ag – They do. But what is your point? Ag – Because of gravity. Ath – So gravity doesn’t exist? Th – I am saying that the reality is what is is. Apples fall down on Earth no matter what our theory is. Reality is a completely different thing than science. And the fact that reality exists does not make our scientific theories any more or less valid. Ag – But science interprets reality. Th – That’s right. It interprets it. Ath – Science helps us understand the world. Th – So the world is understandable? Intelligible as Aristotle might say? Th – So what is the “first cause” of everything? Ath – Why should there be a first cause? Th – Because if no first cause exists, then the universe stops being intelligible. Ag – Aristotle told that. Th – I didn’t say he didn’t. But what is your answer to that? Ath – Who says we need to search for a first cause? Couldn’t the universe just exist with no first cause? Th – …so we end up not knowing the actual “cause”. Untitled — Yes. Is something wrong with that? What are you doing? And still, the fact that no 100% certain conclusions can be drawn, does not mean that some things seem/look more “logical” or “illogical” than others. What is your opinion on that? Untitled — He thinks…, but since logic is questionable and no one can reach a conclusion about anything as you claim Mr. Spiros, he is still…shall we say, thinking?…. Untitled — What do you think about the idea of such dialogues? THE NOBLE CAUSE — TO SEARCE FOR THE TRUTH IS A NOBLE CAUSE, WHILE LIVING IN THE LIE, CAN ONE FIND THE TRUTH? NO, BUT THERE IS A LITTLE BIT OF TRUTH IN EVERY LIE. WHY IS THAT? THE LIE, CAN NOT EXSIST WITHOUT THE TRUTH. THE LIE HAS TO LIE ABOUT SOMETHING, OH YA THE TRUTH. SO IN SCIENCE, RELIGION, LOGIC, REASON THE HUMANITIES OR EVERYTHING THAT MANKIND STANDS FOR. BUT WAIT! MANKIND IS FLAWED, HIS SCIENCE IS FLAWED, HIS RELIGION IS FLAWED, THE WORLD IS FLAWED. CAN I EXPERENCE THE HOLY GRAIL OR THE TRUTH? YES! THE TRUTH IS IN YOU, THE TRUTH CREATED YOU, THE TRUTH IS THE SUBSTANCE THAT HOLDS THE EVERYTHING WE SEE TOGEATHER. PROOF OF THIS IS THE LIE CAN NOT CREATE ANYTHING ONLY PERVERT WHAT HAS ALREADY BEEN CREATED(EVOLUTION). THE LIE HAS POWER AND AUTHORITY. THE PROOF IS, THE LIE REASONS WITH THE TRUTH, OR ARGUES WITH THE TRUTH. WHY NOT ARGUE WITH THE LIE? THE TRUTH DOES NOT HAVE TO ARGUE WITH THE LIE, BECAUSE HE IS THE TRUTH. OH NOOOOO MISTER BILL I SAID IT NOW. WHO IS HE? JESUS CHRIST IS THE TRUTH, JUST LOOK IT UP. SO COME OVER TO THE TRUTH, ACCEPT THE BAPTISM OF THE FATHER IN HEAVEN, THE SON AND THE HOLY SPIRIT AND GET SOME TRUTH! Untitled — Ευχαριστώ, αν και η σύνταξη σου είναι λίγο περίεργη. Thanks, but your syntax is weird. Do you want to write it in English for better results? Untitled — Κοιτάξτε τι έγραψε αυτός! Θέλεις να μου πείς κανείς μπορεί να χωρέσει ένα διάλογο με κάποιο πλατωνικό του παρόντος πειθούς; Καλή τύχη, θα ήθελα να πω! Excellent idea… — Having been restricted to reading bits and pieces of the ancients, I never dreamed that I’d be sending a note to a real live modern-day Greek thinker! At the outset I’ll say that your idea of enabling people to participate in actual first rate dialogs is an excellent one. But so much time has elapsed—2500 years. Talk, heretical, could never dent religious faith, else be burned at the stake. But open-minded science is a different matter. Maybe ‘proper’ talk is a kind of experiment. My thoughts on modern Platonic discourse? Your first published dialog obviously is a ‘trialog.’ The agnostic and atheist seem to gang up on the poor lady theist. And they all get waylaid into talk of ‘true’ logic and the ‘universal truth’ of mathematics. I’m surprised that Popper, with his claim to rationalize the (impossible?) scientific leap from the particular to the general (induction) by using inductive logic, didn’t show up. This brief but enjoyable Platonic ‘dialog’ is all very civilized but not so kind. Methinks I like Socrates better. But who wants gentle kindness in crisp thought? Sometimes it must cut.I’m no trained philosopher. As an ordinary ‘educated’ person, I enjoy intelligent conversation, less so debate. But, being retired and much away from truly live stimulation, I live in an intellectually barren world, and I don’t mean Alzheimer’s. I honestly don’t really know yet (at 78) what my beliefs, if any, are. Is liking to poke fun at things an attitude or a belief? To see some good thinking—the actual step by step format of a dialog-trialog—in writing in a Knol is exciting. Please ‘believe’ that! Evaluating context is fun. However, looking at and responding to the content (premises, theses, etc.) of current controversial issues can be hilarious.How does this tongue-in-cheek synthesis of God, Darwin and Gender strike you? In my mind’s eye I am moderating a heated debate on intelligent design versus evolution. As you know these two notions, currently, are totally incompatible. Finding a pleasure in shocking people, at debate’s end I say: “God is dead. She blew herself up setting off her big bang. Now we all are on our own.” We both see the false premise, but any logic there? Untitled — Having antinomies is common in Logic and mathematics. Your paradox is the same as the many other paradoxes discovered by the ancient Greeks or Russel. What do you suggest? Discard all mathematical logic? Discard God? Discard the paradoxes? What? Untitled — “P1. God is DeadP2. She blew herself up setting off her big bang. (C=) Now we all are on our own.”Interesting thought Dr. Hogg but P2 is highly unlikely even if P1 could ever be true. In fact I can prove that P1 is impossible.Simple Proof:1. The physical universe is destructible.2. Whichever “first cause” created the universe is indestructible for otherwise it would not have been a first cause or in simpler words, it could not have always existed.3. If the first cause is ‘God’, then it is impossible that proposition 1 can ever be true.To prove the impossibility of P2, you have to consider that the physical universe is finite and destructible and it still exists because I am typing this. From here you can deduce a proof if you are smart enough. Untitled — If you want an actual modern-day Greek philosopher, and one who thinks critically instead of attempting to build logic around preconceived beliefs, I suggest you drop by http://dbzer0.com , an excellent website focusing on philosophy, politics, religion and the like. Untitled — So, what is the conclusion about the abovementioned line of reasoning? Untitled — Am I miss interpreting this?P1. God is DeadP2. She blew herself up setting off her big bang. (C=) Now we all are on our own.————–Subsequently, I’ve tried to prove the proposition (arguments/conclusion) with RULES OF INFERENCE. No truth table or addition of premises could possibly refute the falsity of the aforementioned. Untitled — A dialogue with you seems promising. I am interested in finding out how a modern platonic dialogue could evolve between a Greek and an American thinker…What you written here means that the theme of “Evolution and Intelligent Design” is your theme of choice? Should we initiate a dialogue for that? I would like to.